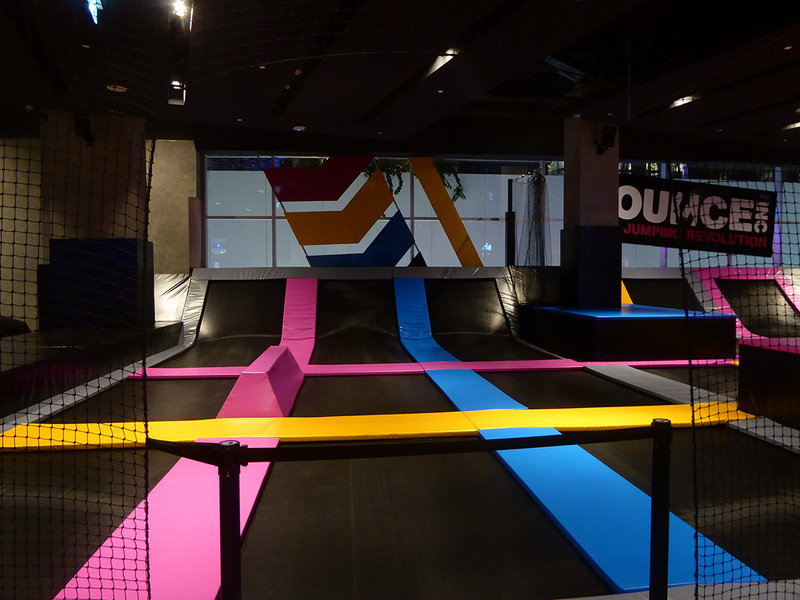 Bounce is an urban playground featuring a trampoline park with more than 100 interconnected trampolines and an indoor climbing park housed in a huge colorful space. It is entertaining for both kids and adults providing both exercise and fun. 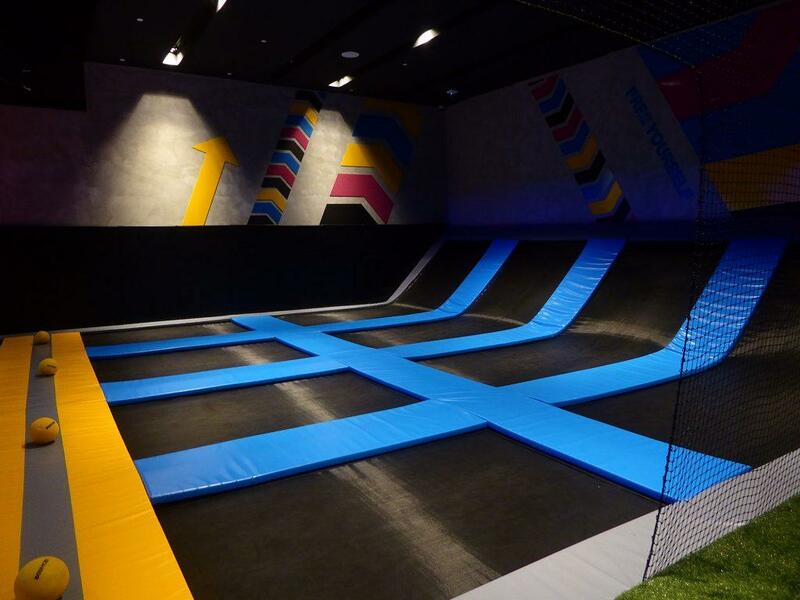 Kids can enjoy free jumping, wall running, a giant big airbag, a trampoline dodgeball court, slam dunk complete with basketball hoops and more. There is also an indoor climbing park called Clip & Climb where there are 24 themed graded climbing walls some of which are suitable for children. 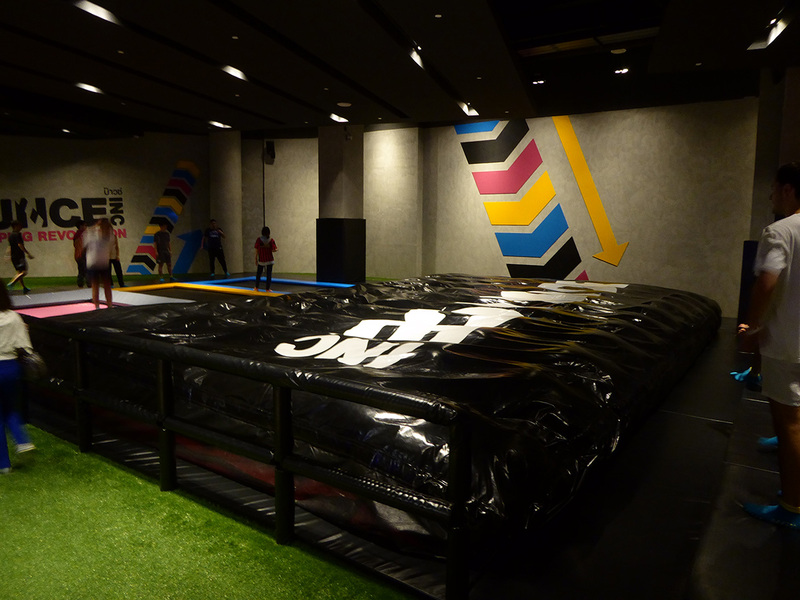 The Mini bounce is a supervised area is for kids aged 3-5 years and includes fun games, activities, and exercises for kids. 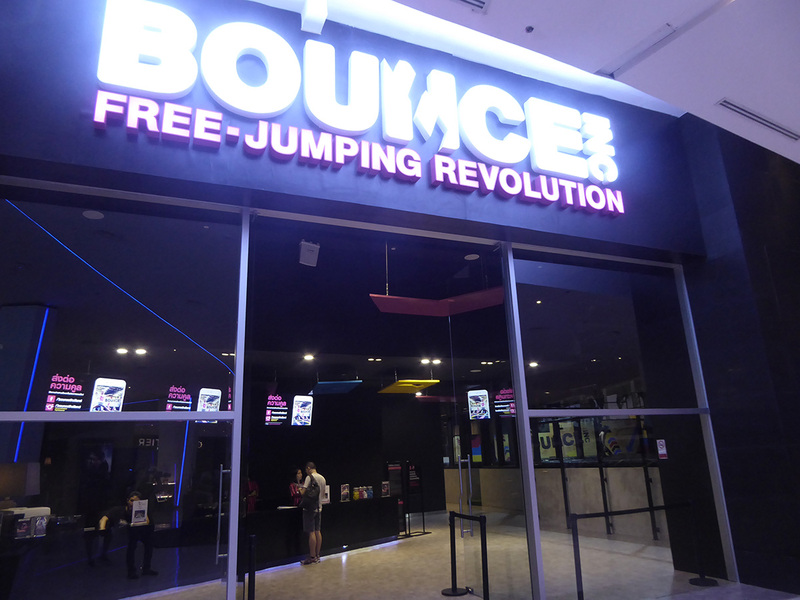 All areas of bounce have adult free children’s sections. 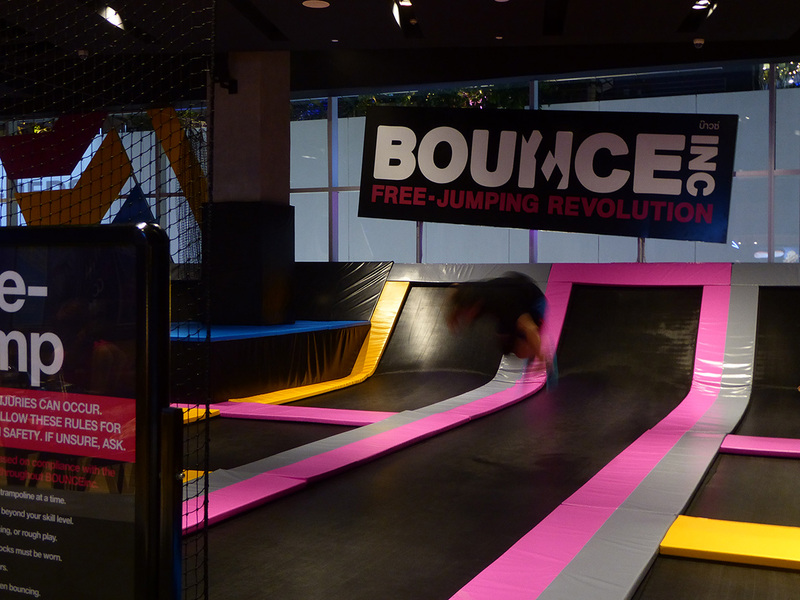 Bounce is a great place to take your kids to burn off energy. Adults are free to join in or relax in the attached cafe/restaurant. There are 2 locations with the EmQuartier branch on Sukhumvit road being the more centrally located. Admission prices are per hour and you must purchase a pair of bouncing grip socks which you get to keep. There is a 120 KG weight limit. Location 1: 4th Floor, Glass Quartier, The EmQuartier, Sukhumvit Road. Location 2: 5th Floor, The Street, Ratchadaphisek Road. Family Ticket (4 people) 1500 baht. Online price 1400 baht. Grip Socks are 85 baht per pair which you keep.